Father Thomas Joseph White, O.P. Thomas Joseph White, O.P., entered the Order of Preachers in 2003. 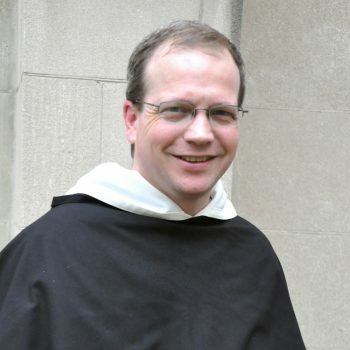 His research and teaching have focused particularly on topics related to Thomistic metaphysics and Christology as well as Roman Catholic-Reformed ecumenical dialogue. He is the author of Wisdom in the Face of Modernity: A Study in Thomistic Natural Theology (Sapientia Press, 2009), The Incarnate Lord: A Thomistic Study in Christology (The Catholic University of America Press, 2015), and Exodus (Brazos Press, 2016). He has edited several books, and is co-editor of the theological journal Nova et Vetera (English edition). In 2011 he was appointed an ordinary member of the Pontifical Academy of St. Thomas Aquinas.